STUDENT: Parikshit Singh/XII was selected as the student this week. He shared his views on the importance of time management in a student’s life. He explained the importance of being timely managed. He said that time management is an ability to utilize one’s time efficiently so that one can be more productive and organized. He also said that self discipline and lots of hard work are the keys to manage your time well. At the end he concluded his speech by quoting “if you can’t manage your time you will not be able to manage any other part of your life and so the first step towards success starts with well managed time. 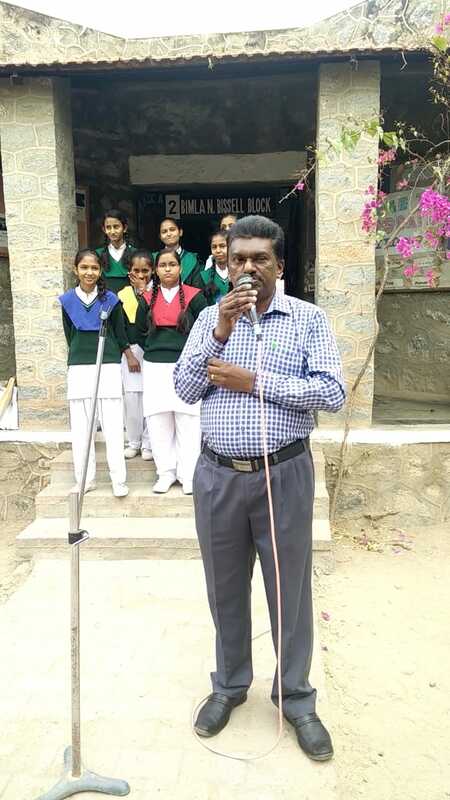 EDUCATOR: Mr. Byju Joseph was selected as the Educator this Week.He shared his views on the benefits of confidence. He also shared his views on how can we develop our confidence level. We should participate more and more to increase our confidence level. We should have more knowledge to face the world in more simpler way. HC: My favourite classes during those days were Art class, Music class and as I loved Math, so Math was probably my favourite class. HC: As I had visited the School Campus a couple of days ago I liked the way it has improved from the time I studied there till now. And as per extracurricular activities I feel that those activities have helped me a lot to develop my communicative skills and fluency in English. HC: Yes, I believe that the School has contributed a lot for preparing me to face the reality of the competing world. It has developed many skills in me like fluent English speaking, etc. HC: In the School my favorite spot was the tree in the middle of the School Ground. 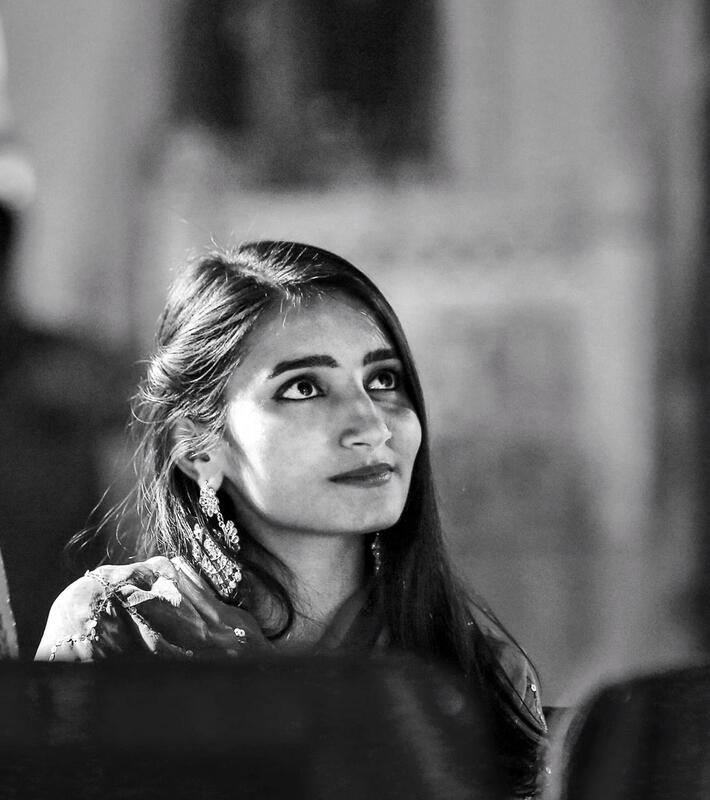 HC: I used to participate a lot in all kinds of activities may it be extempore, dance competition, Art competition, etc. HC: I just want to say that enjoy your school years because afterwards you are gonna miss them a lot. As we are missing them. 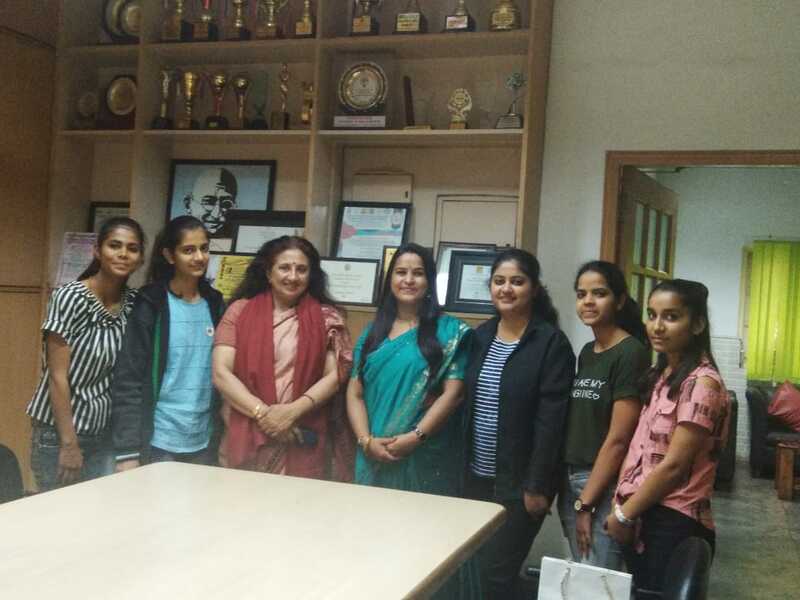 Monday, 11th March- Tuesday, 12th March: Hemlata Vaishnav/ XII, Harsha Suthar/XII, Devika Choudhary, XII & Kinjal Rao escorted by Ms. Urmila Rathore & Ms. Swabhi Parmar visited The Indraprastha women's college in Delhi to attend the event on Climatic change symposium and also saw the Dramas performed by different colleges of Delhi University. 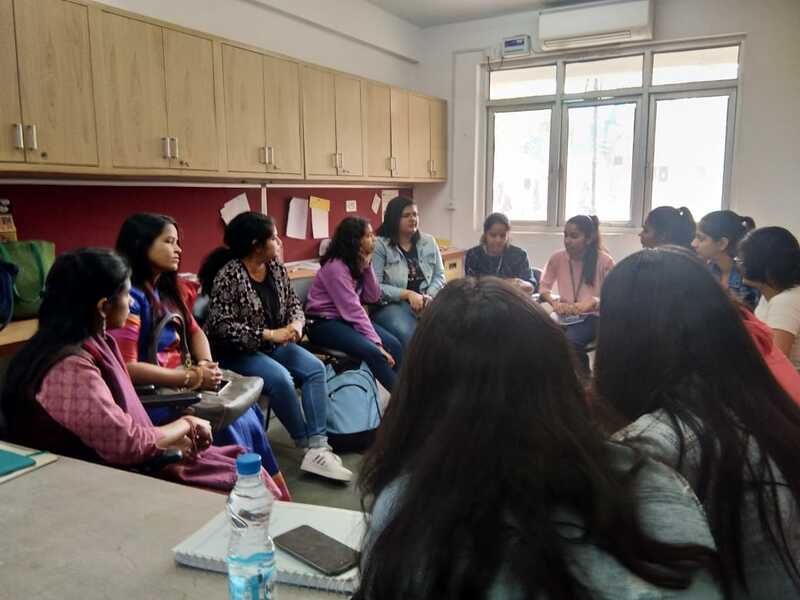 The Sociology department of the college kept an interaction session with the students of The Fabindia School and discussed the social issues faced by the people in rural Rajasthan. 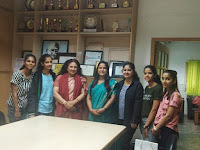 They also loved the way the school helps in Empowering young girls for education and uplifting the society by having Rallies, Surveys, Street plays. 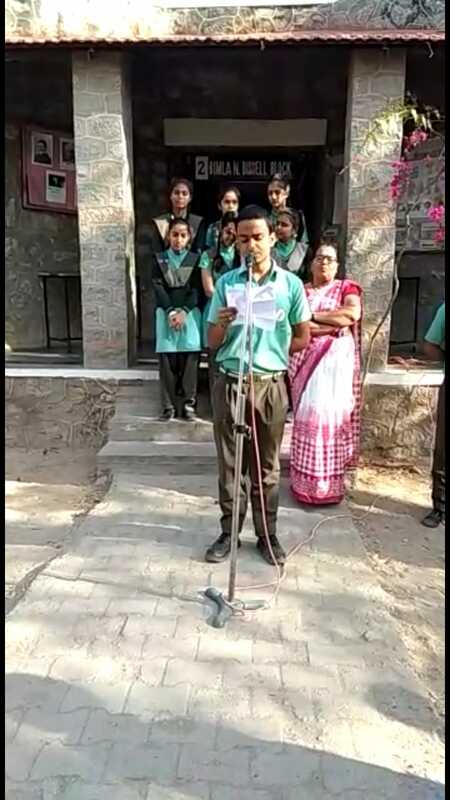 They also appreciated the Cycling event and giving sapling on birthdays in The Fabindia School and said it is amazing that the school encourages the students to spread awareness about environment and tells to be sensitive towards nature. 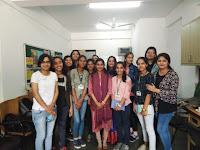 The climatic Change symposium event was organized by North East Indian Club of The Indraprastha Women's College. They showed the different biodiversity hot spots in the world and the causes of its depletion. 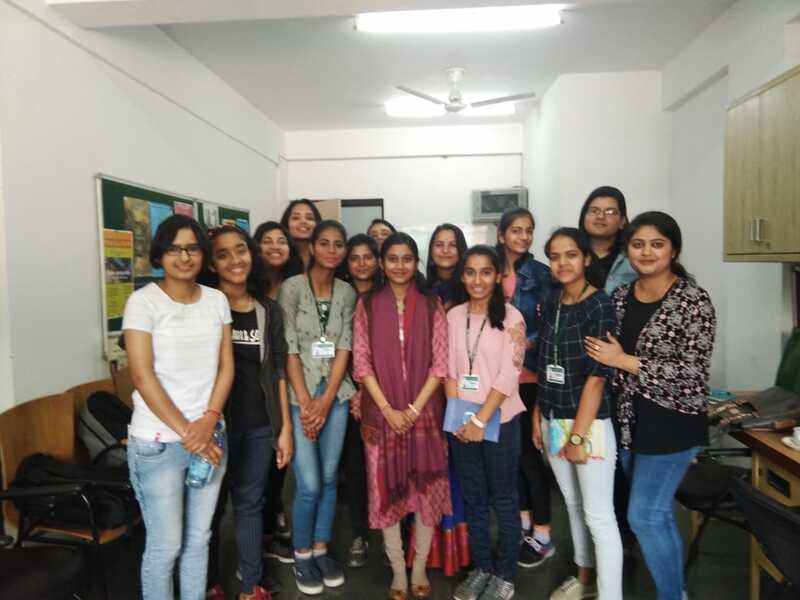 They made the students aware about the adverse effects of Climatic change in the past decade and how can man help in conserving Mother Earth. 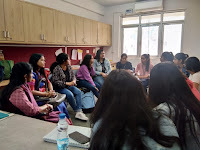 The Dramatic societies of Delhi University performed various plays on different eye opening topics which were very captivating. The name if the drama event was KIRDAAR and it was organized in the college theater. Wednesday, 13th March: That day Final Examination for Class Nursery-II got over. The students looked relieved after ten days. Educators are busy in copy correction. Friday, 15th March: That day Final Examination for Class III- VIII got over. The students looked relieved after ten days. Educators are busy in copy correction. 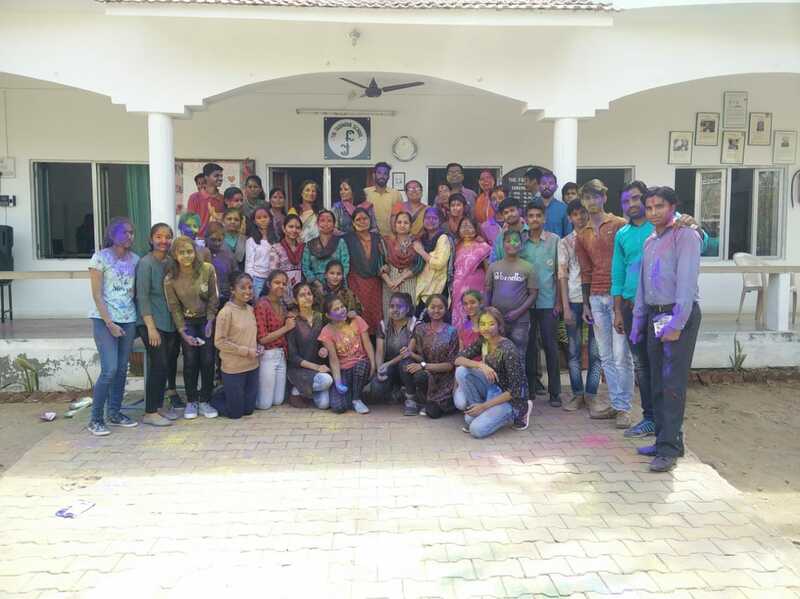 Saturday, 16th March: Holi Celebration was organised in the School. 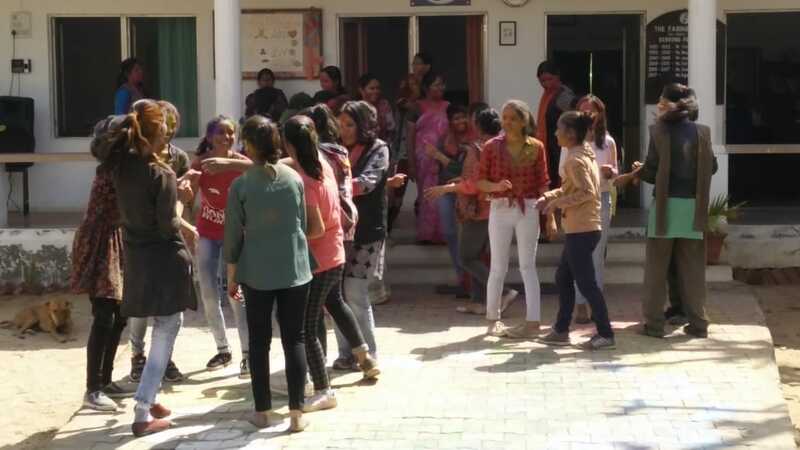 All the students came in formal dresses and the celebration was arranged in the school. 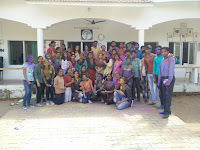 They were accompanied by their class teachers and once the celebration started the kids sprayed colours on one another. They even sprinkled colours on their teachers as they too joined them in the celebration. The entire celebration went for one hour and all of them enjoyed it a lot. Even music was also played and everyone danced on various songs.